Recently a friend of mine asked me what I planned to blog about this week. 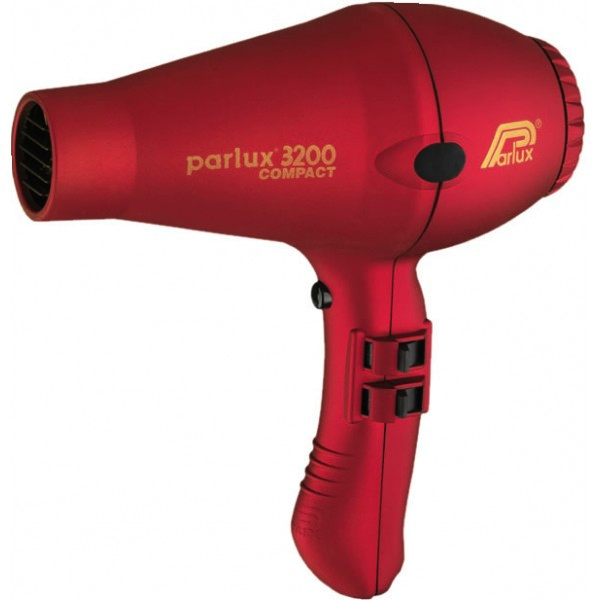 I mentioned a few ideas, including maybe a review of my Parlux hairdryer. "Stop there", says she. "I don't use hairdryers myself, but I believe that a good hairdryer is hard to find, if my sisters are anything to go by". I have had this hairdryer now for about nine months. It took me one use to discover what the fuss is all about. And a subsequent return to a "bog-standard" hairdryer for a single occasion (where I found myself hairdryer-less of a weekend) to confirm my findings. I shall never buy a different hairdryer again! The one I have is a Parlux 3200 Compact model (see here); it's a salon-quality, commercial brand, an Italian make, from what I can see it's what most professional hair stylists use. I bought it because I was doing an advanced styling course, and we were advised that the tutor (the fabulous Neil Gogoi) insisted that we have a proper, decent, hairdryer, not just our own "home" dryer. These are not usually found in standard shops, but if you dig out a salon services type shop (ie one that caters to hairdressers, beauticians etc) you'll find them there - you can't benefit from the trade prices there unless you have a trade card (or have a really good friend with one), so chances are you'll have to pay full whack (around €80-90 I think) but, like L'Oréal would have us believe, it's worth it. So a little about my hair, to set the scene. I have a lot of hair. It's quite thick, somewhat coarse, reasonably long (about half-way down my back at present). It's extremely processed, as I tend to change its colour (and quite dramatically) on a very regular basis. At the moment, it's a dark blonde->blonde ombré, but it's been black, various shades of brown, a lot of different blondes (from strawberry to platinum, from all-over to highlights), and several colours of red (and a brief side-step into pink), all in the last few years. According to my colourist, there's no logical reason why I still have any hair, let alone healthy hair. It's prone to being extremely frizzy. So much so that few years ago, I stopped bothering to blowdry my hair - because the end result was the same; straight and frizzy if I blowdried it, curly and frizzy if I left it to dry naturally. One use of this later I found myself with straight, sleek, salon-style hair. No frizz. None. Several uses of this later, I was surprised to realise that my hair was actually in better condition. Now, I'm not according this hairdryer with all the credit, far from it! I use good, salon haircare products (L'Oréal Professional, Joico, Redken, Kerastase, Nioxin). I have it cut maybe twice a year (I should do it more often, but I can't bring myself to!) I have it coloured professionally, never home-dyed. I use a masque once a fortnight. I use a heat protectant and the ends get serum'd. But I have most certainly noticed a very definite and positive change in my hair condition since I started using this dryer. What else do I like about it? The long cord is nice. Oh - and very important for long-haired people: I no longer use my GHD. I don't need to! My locks are dried perfectly straight and sleek with this hairdryer and with far less damage than with the extreme and direct heat of flat irons. I think it's better than my GHD for straight hair actually. only available online or through salon services stores. The ceramic heating element in a more expensive dryer heats up faster and more evenly, and produces a more radiant heat which penetrates hair strands, drying from the inside out, and contributing overall to your hair drying faster. This helps prevent it from being so frizzy. In general, cheaper blowdryers use metal heating elements, which produce a harsher, more uneven heat, which targets your hair from the outside in, resulting in damage to your hair (it makes your hair brittle and dry as it dries up all the moisture in your hair). The negative ions emitted by a more expensive dryer reduce the amount of static electricity build-up in the hair, helping your hair to be smoother, and the ends to be less dry. In addition, most newer ceramic elements are infused with Tourmaline, which boosts these negative ions. A cheaper dryer usually gives off positive ions, which make your hair look dull and frizzy. The very narrow concentrator nozzle focuses the heat into a very small area at a time, drying this area faster. Faster dried hair means less damage, ultimately, making for shinier, sleeker, softer hair overall. Help all of this along, of course, by using a (ceramic) brush appropriate to the length of your hair and make sure that you pull the brush through your hair with tension. Dry the roots first, then the mid-lengths two-three times, then the ends very quickly as the last step, et voilà, perfectly salon-blow-dried hair. I love this dryer and most certainly will replace should I ever need to - that said, these usually die of old age before they wear out.